Log in to Campus Express. Welcome to Penn! An exciting year lies ahead of you, and you shouldn't miss one second of it. 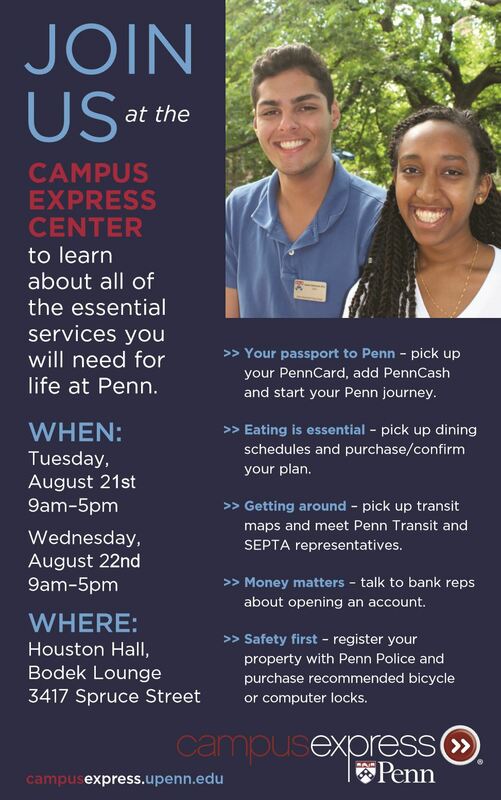 Get a jump on life at Penn by logging in to Campus Express today. Campus Express at Penn is your online one-stop-shop for some of the most essential student services. We are here to guide you through services you need to know about, including housing information, textbooks, transportation options, property registration, your ID card, campus dining, and more. So log in and get started today!